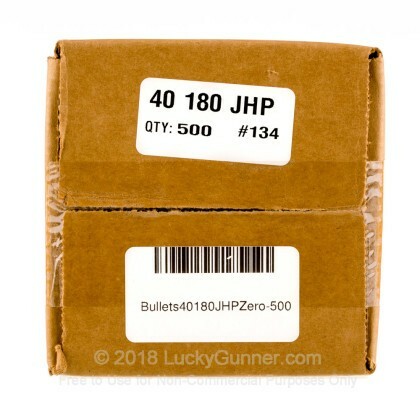 If you're looking to handload your own .40 S&W or 10mm personal defense ammunition then this package of 500 jacketed hollow point (JHP) projectiles from Zero Bullets is a great choice. 180-grain JHPs are the preferred bullet for the highest performing defense ammunition in this caliber and can be found in Hornady TAP, Federal HST, Winchester Ranger, Buffalo Bore and many others. 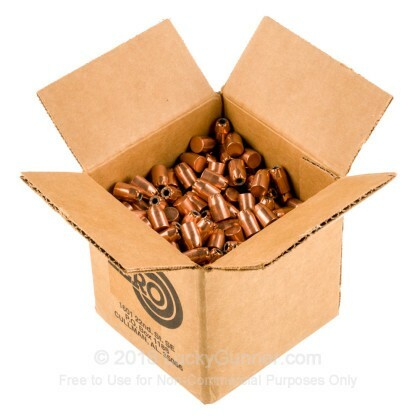 Zero Bullets first started by selling projectiles and loaded ammunition at gun shows across the southern United States during the mid-nineties. Reloaders were quite impressed with the consistent construction and true jackets that the projectiles possessed. Today, Zero Bullets has grown while using new technology for their production process without changing the level of quality that they've always presented. 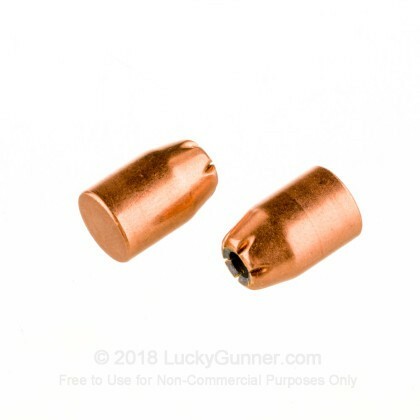 These bullets possess a true copper jacket and can stand up to the typical high speeds of .40 S&W and 10mm Auto loads, unlike copper plated bullets. Zero Bullets cuts the hollow cavity closer to the top of the projectile for easy feeding in a variety of pistols. The copper jacket is pre-serrated where it borders the hollow cavity and can be expected to expand reliably when the finished cartridges are loaded to proper specifications.